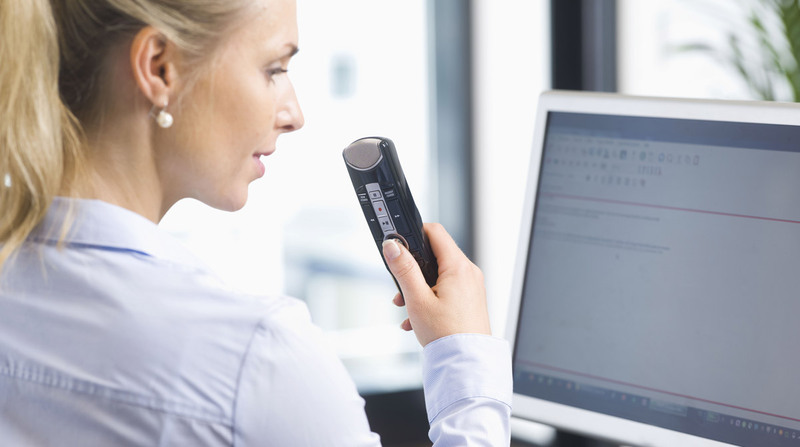 A great complementary tool to the DS-7000 and DS-3500, the Olympus Dictation smartphone app enables users to work remotely when their primary device is out of reach without interrupting processes and workflow. Google Play®, the app is the perfect accessory for on-the-road dictation and allows subscription users to record, edit and send files from their iPhone® or Android™ smartphones. For an annual licensing fee, users are able to transmit their files in either DSS or encrypted DSS Pro file format to the Olympus Dictation Management System (ODMS) transcription module, allowing for increased business efficiency and uninterrupted workflow without worrying about compromising security. Because smartphones have a limited battery life and memory restrictions, users should rely on their primary devices – the DS-7000 and DS-3500 – for long depositions or lengthy notes. If, however, a user’s smartphone battery runs out while they are dictating, rest assured that the file is not lost and is secure within the Olympus Dictation app.